Brand new construction townhome! Modern open floor plan and tons of natural light! This 3000sq' + /- home has it all. Approved 10-Year Tax Abatement, 3 bedrooms, 2.5 baths, a ROOFDECK and large rear yard. The stunning kitchen is a dream with granite countertops, luxury cabinets, tiled backsplash and pendent lighting over the breakfast bar. Hardwood floors throughout and the technology package is included. Full 3rd-floor master suite, walk-in closets with built-in custom shelving, and gorgeous Spa inspired bathroom and access to the full roofdeck. The two additional bedrooms are a great size and have large closets and bright natural light.The large rear yard is perfect for the BBQ and entertaining. 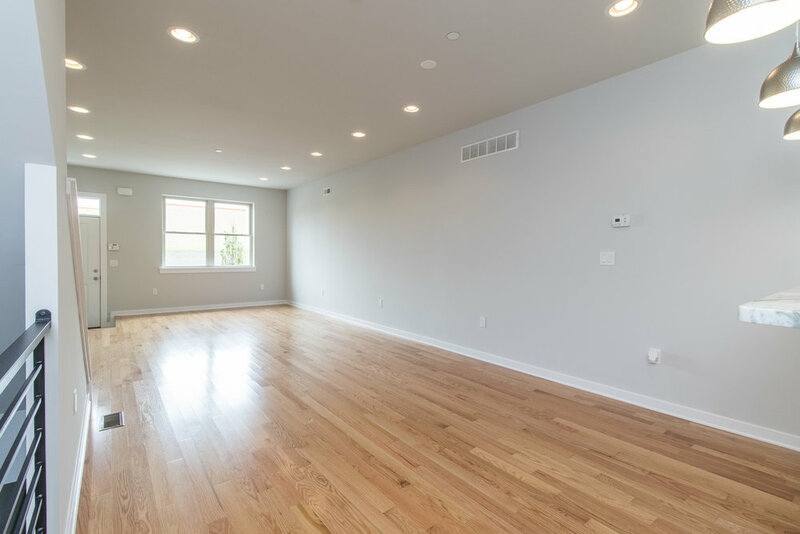 the finished lower level has cozy carpeting and can be a 2nd living room or 4th bedroom. Custom finishes everywhere! Roofdeck has a very durable fiberglass decking and parapet walls for privacy. All of the bath vanity countertops are granite or quartz. Top quality BEAUTIFUL New Construction Home at a great price with a builder home warranty.